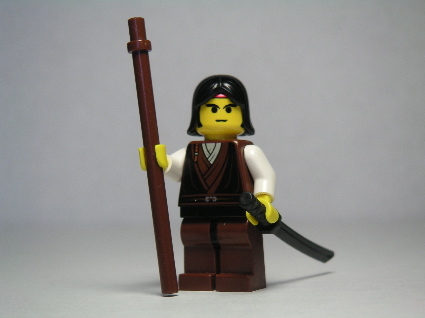 Biography: Yorimitsu was a legendary warrior from the Heian period of Japanese history. Although famous for many real-life exploits, he appears in several legends, including one in which he defeats the ogre (oni) Shuten Doji, disguised as an ascetic Buddhist monk, or yamabushi. Further reading: Wikipedia (English), Wikipedia (日本語).